1. Decide upon your target audience. The first step — before you do anything else — should be to clearly define who your target audience is. From this, all the other decisions will fall into place in terms of format, content, prices, location, etc. 2. Make a list of details — everything, including lighting and public transportation, to content and refreshments. When you decide to have an event, everything matters. From program content and lighting to transportation and parking — everything counts. And your audience will attribute everything to you and your brand. Making a list will ensure you don’t overlook things. 3. Have a clear business purpose. Before you begin planning a successful event, be clear on why you are doing it in the first place, because every decision after that should support your main goal. Is it lead generation? Is it to create awareness of your company or a particular product? Is it to develop customer loyalty? Or do you simply want to make money (which is okay too)? Make sure the team is aware of the purpose. 5. Create goals. Always start with strategy. Just like building any business, great events start with a strong, thoughtful and measurable strategy. Then make sure that you proceed in line with reaching these goals. 6. You’ll need a DETAILED marketing plan. 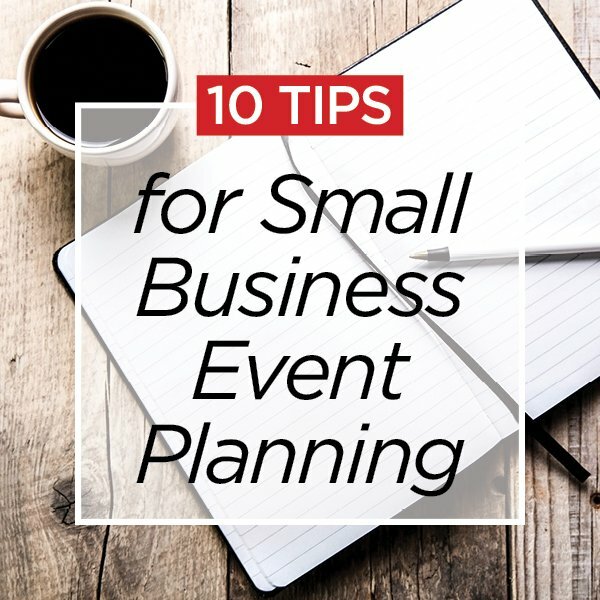 Create a marketing plan for the event. The more organized you are, the more professional your event will be. 7. Define good reason(s) for people to show up. What’s the draw for attendees? You need to define WHAT you’re doing at the event that will bring those target attendees in the door. For a consumer product it might be a party with entertainment and product demos and freebies. For a business crowd it might be educational content or an exciting, well-known expert speaker. Whatever it is, don’t lose the connection with why you want this particular audience clamoring to get in. 8. Delegate responsibilities. No matter the size of your business, always try to delegate responsibilities. Having one person in charge of every detail typically doesn’t work out well. Whenever possible, let people take control of the areas they most enjoy. For example, let the foodie in your company handle the catering details. The more someone enjoys their responsibilities, the more likely they will carry them out with success. 9. Set expectations carefully – then deliver. Ensure that the audience has a great (not good) experience, and that you give them what they expected from attending. 10. Ask people what they think, and be ready for feedback–good or bad. Ask for critiques. If you’ve done half a decent job, you’ll get lots of kudos. Say thanks, but then ask for the critique and be ready for it.